Here's what you need to know about Intel RealSense technology, taking part in the App challenge contest and the schedules. Yes, it's a little dated, but the essence of the message remains true to this day. I think the 2005 movie "Robots" perhaps summed it up best: See a need; fill a need. 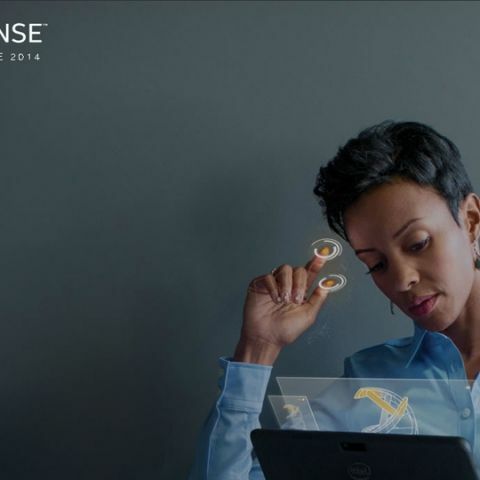 So, this is exactly what we hope will happen this year with the new Intel® RealSense™ Technology. When we look at the modern world, there are probably plenty of places where the ability for computers to support more natural interactions with people or be able to absorb objects or environments more seamlessly would be useful. For anyone not already familiar with RealSense, here is a good introduction. In essence, it is the combination of a "normal" webcam with an IR (infrared) sensor that simultaneous collects depth information, similar to how LIDAR works. So, in the near future (should start this holiday season), when you sit in front of a RealSense-enabled system, the webcam will "see" the exact RGB (Red/Green/Blue or the way a computer understands color) of the very tip of your nose, as well has how far your nose is from your eyes. Theoretically, it would have been a rather simple process to create a RealSense-based lie detector for Pinocchio, based on the aforementioned depth tracking. So, breaking that all down, 1 lucky winner could win $51,000, if he or she got the app in before the early submission deadline ($50,000 otherwise). In addition of course, there is the notoriety of being one of the first major apps in this brand new market. One of the most consistent things we hear from developers is it that they don't have trouble making apps, but rather that they have trouble getting her apps noticed already flooded market. In this case the RealSense market is anything but flooded. Can you imagine how wonderful it would have been to be one of the first apps in the budding smartphone market? That is the similar opportunity before developers looking to get into a RealSense. And with that, I'll wrap up. Let me know what you think of the Challenge in the comments below or on Twitter: @CaptGeek! But be careful not to write your great RealSense ideas in the Comments! Save those for the Challenge so you may win! Good Luck to all those that enter! !